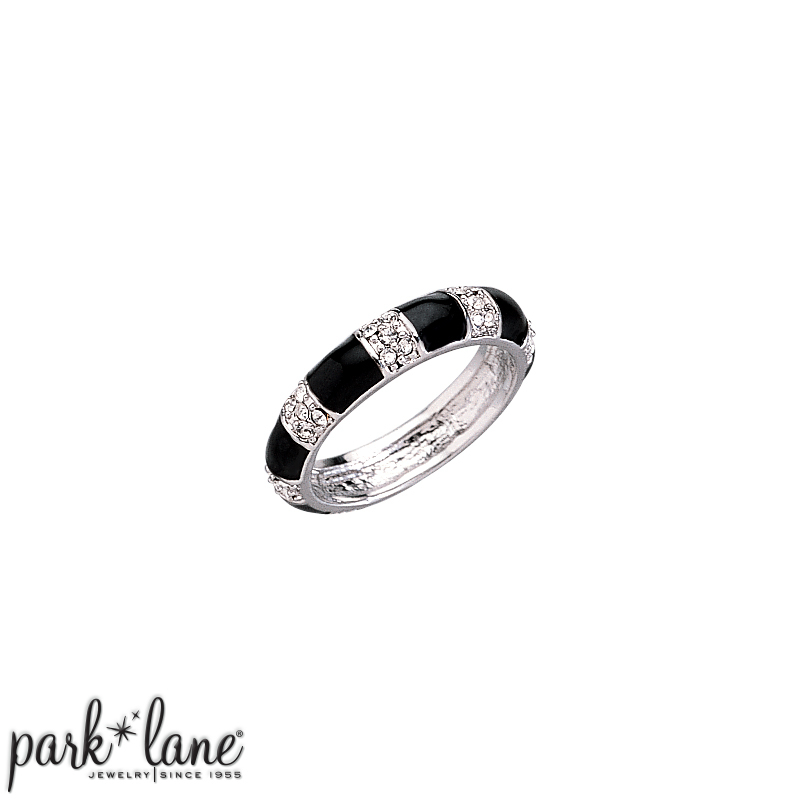 Alternating sections of rich jet black enamel and sparkling pave Swarovski crystals adorn the slightly domed band of this outstanding ring. Parlez-vous Francais? Oui! Sizes 5 through 10.